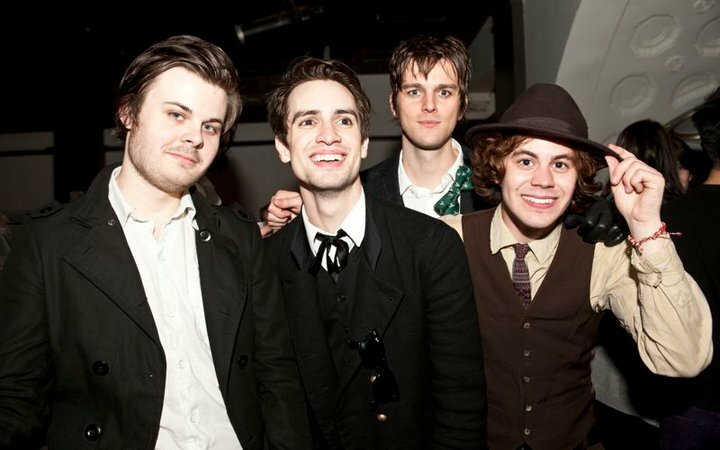 I am very excited for Vices and Virtues. Speaking of which, the boy’s put the tracklist up on their site. I am happy to see that it is a full album. I guess Im used to asian bands which their singles, haha. Brendon’s speaking voice is really deep, I dont know why this did not occur to me. This was also posted on their site, but if you havent been there, then you havent listen to this bit of interesting. I went through such a sad time with Panic during and after Pretty Odd, that whenever Northern Downpour (Their fansite) asked me if I wanted to renew I would just get pissed. It also didnt occur to me until now that I could follow them on twitter! I am seriously considering preordering the CD, the $25 one with the T. If you want to preorder, you can do so HERE. The CD will come out on March 29th. Also, Dallon and Ian seem to be the names of the other people playing with them now. I was wondering, and so you might be as well. The Ballad of Mona Lisa (Teaser). I am freaking excited for this. Panic! 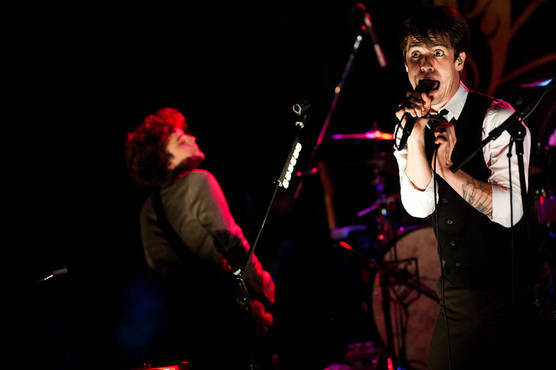 LIKE the old Panic! Did you see Brendon’s makeup?? The entire feel of that little bit reminds me of the first Panic! concert I went to. AH! The drumline. *drools* People on stilts, it was just crazy entertaining. (Wont mention the dissapointment of the others). 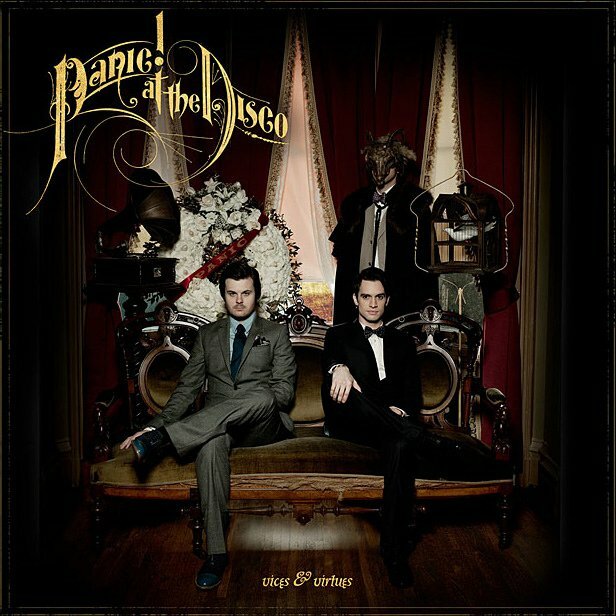 Second, the cover art for their third album, Vices and Virtues. Saw the teaser on youtube which made me go look up their site again. They updated it a couple times in the week since the song actually came out. Here is the site again.